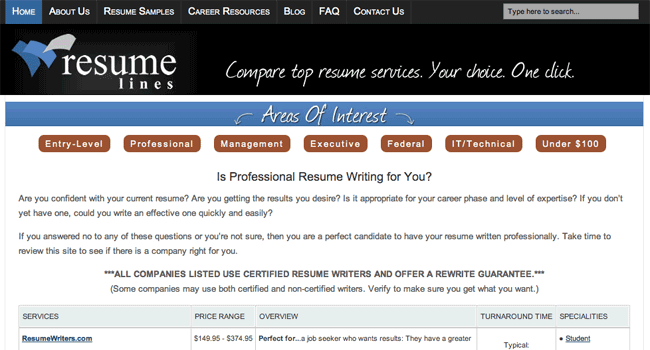 Looking to utilize a Resume Writing Service company? 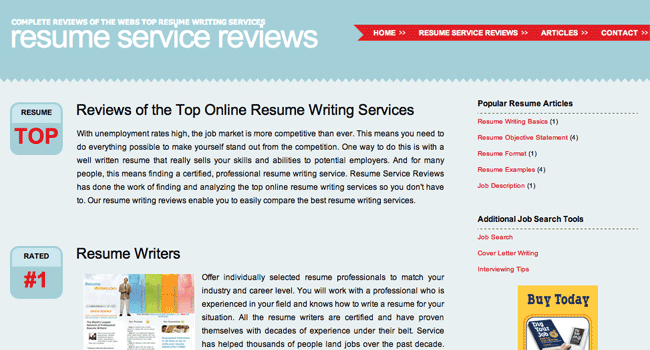 From this one page, you can research all the companies, by reading ALL the resume service review sites! 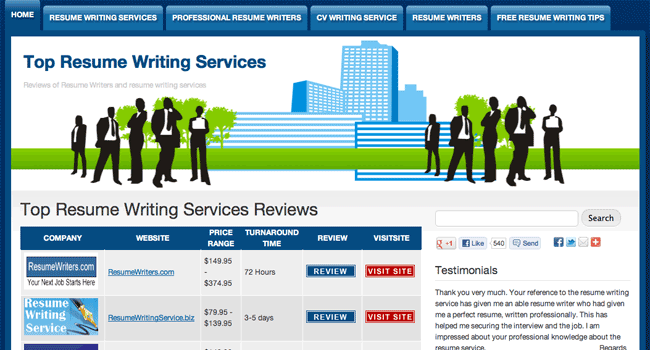 THESE 9 WEBSITES REVIEW RESUME WRITING SERVICES. 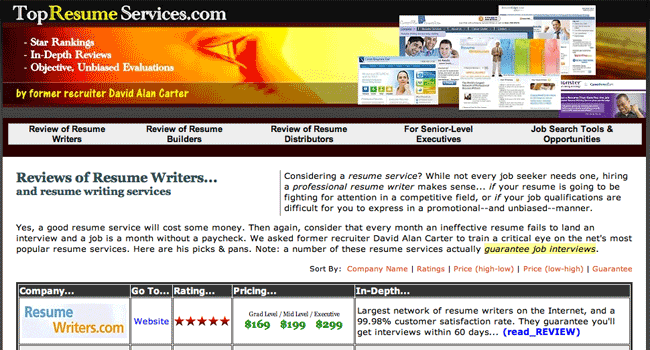 IF THE RESUME SERVICE YOU ARE CONSIDERING IS NOT LISTED ON ONE OF THESE 9 REVIEW SITES, BUYER BEWARE! hese sites are growing like weeds because they exploit a simple formula. 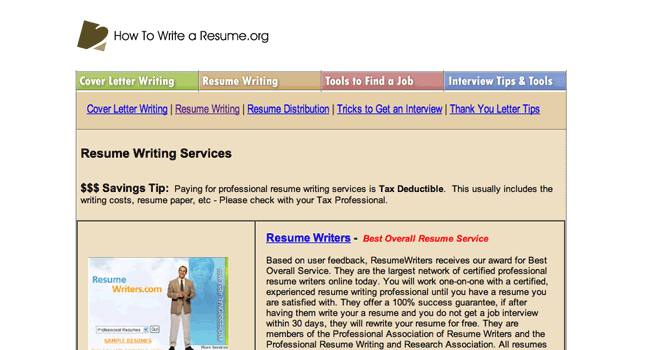 Using tools like Fivvr.com, these sites hire piece work typists (often from Eastern Europe and India) to put resume data into templates on a document by document basis. There is often questionable grammar used and very little editing done. Basically, the person "working" on your resume keeps $5 or less, and the $50 website keeps the rest. 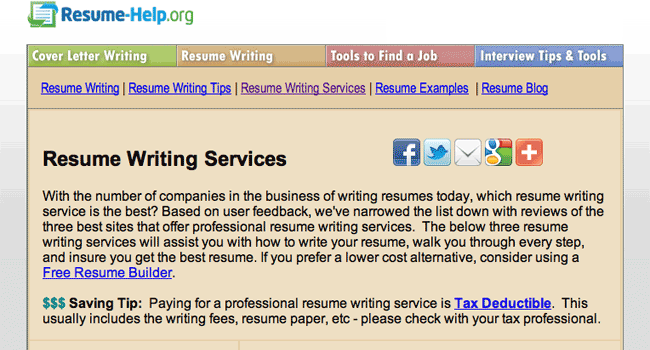 There are even some less reputable sites that make extra money by selling job seeker contact info to marketing firms. In short: Cut-Rate Writers. Templates. Poor Grammar. Possible Selling Of Your Personal Info. 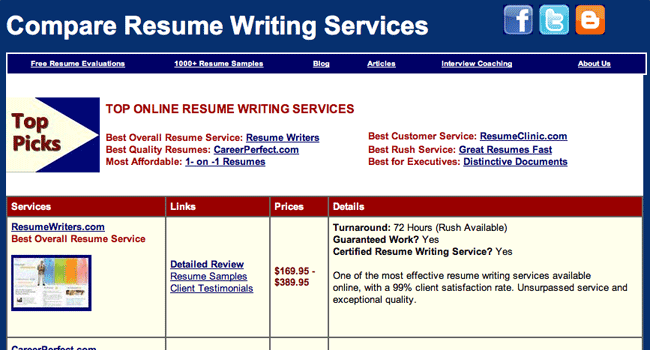 With some of these cheap resume sites, you might just get what you pay for. 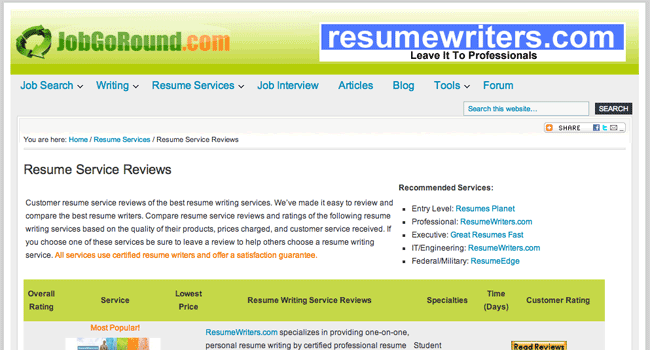 This website helpfully lists all of the reputable resume review websites. If you are considering using a professional resume writing service, the above sites will help you decide whom you can trust. 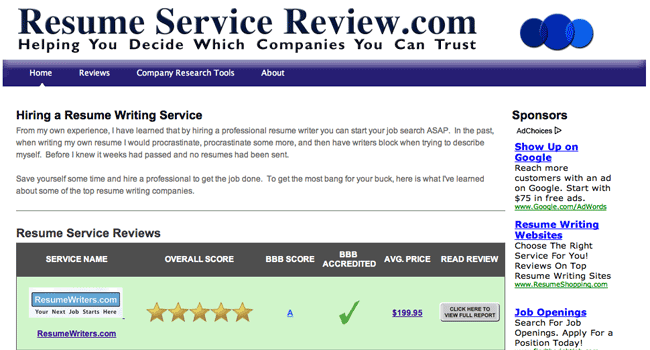 © 2006-2012 Resume-Serivice-Review.com. All rights reserved.